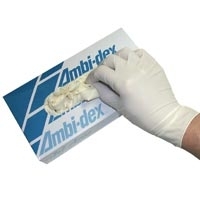 Disposable Latex Gloves 100/BOX. Latex gloves are lightly powdered. 100 ambidextrous gloves per dispenser box. Sold by the Box. Choose from sizes: small, medium, large, xlarge.